SANTA BARBARA — Timed to coincide with the first few weeks of the local lobster season, the 11th annual Santa Barbara Harbor and Seafood Festival is scheduled from 10 a.m.-5 p.m. Oct. 13. 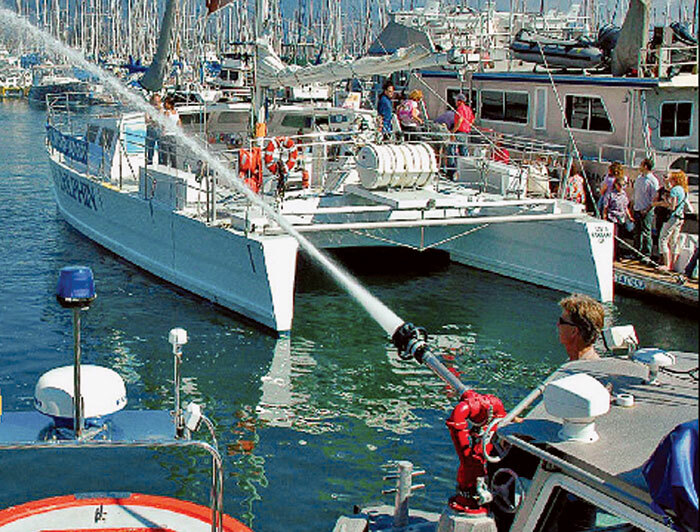 With thousands of festival attendees expected to gather at Santa Barbara Harbor for the event, local commercial fishermen and seafood vendors will be serving up the Santa Barbara Channel’s freshest seafood — including lobster, crabs, prawns, barbecued albacore, clam chowder, fish tacos, seafood gumbo and more. In addition, arts and crafts vendors will offer jewelry, clothing, art, photography and other handcrafted items — and ocean-related agencies will provide information about local ocean resources. The Santa Barbara Harbor Merchants Association will sponsor local live entertainment on the event’s main stage. Other activities presented by the Santa Barbara Maritime Museum include a painting demonstration by the museum’s artist-in-residence Liz Madal, flagship Ranger ship tours, a marine reef touch tank, a Chumash booth, children’s art projects, a raffle, Spirit of Dana Point dockside tall ship tours, a Chumash Tomol canoe paddle, a sea chantey sing-along, a performance by Dixie Hicks and a public sail aboard the tall ship Spirit of Dana Point. For more information, visit harborfestival.org.